How often do we say 'hi' to the person sitting next to us? Get some helpful advice on how to build new relationships. We all naturally seek social connections and crave relationships. Feeling as though we are connected to others helps us function better—we become more resilient, feel happier, and feel as though we belong somewhere. Going to university provides us with an opportunity to meet heaps of new people. This can feel exciting and a bit overwhelming at the same time. It’s a bit like when you started high school, or your new job—even though it can be a bit nerve racking, you just need to bite the bullet and put yourself out there. saying hi to someone next to you in a lecture. When we first meet people, it feels quite natural to portray an ideal version of ourselves. This is often called our image. Often we attach our image to labels like ‘I’m an (insert degree here) student’, or ‘I work as a (insert job title)’. To build stronger connections with people we meet, we have to move past just showing our image, and show our true selves, or ‘authentic’ self. By showing our authentic self, we become “real” and easier to connect with, as people can relate to you. We encourage you to show (and recognise in others) your human side, common side, and positive side. are you a brother, sister, mother, father, aunty, uncle? 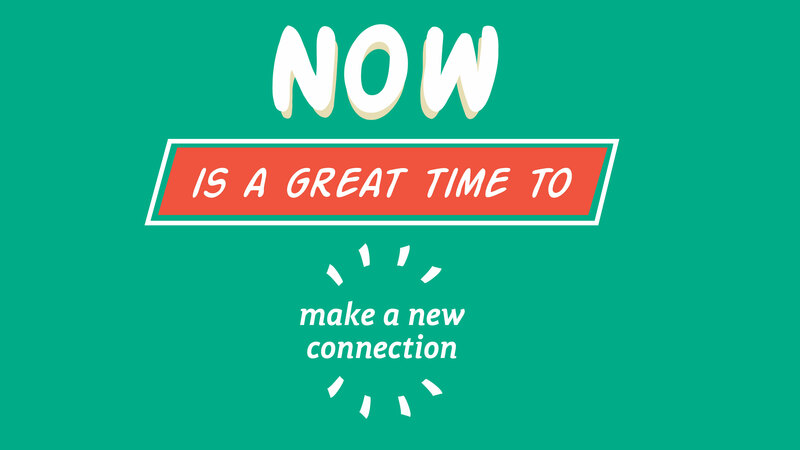 Check out the 10 ways to get connected at Victoria, or pick up a copy of the Wellbeing—Connect brochure around campus. Make an appointment with Student Counselling.